Even in today’s culture of mass produced film fodder, something occasionally appears which reignites your passion for one of the basic fundamentals at the core of the medium – to create arresting, thought provoking and above all entertaining drama. Director Peter Landesman’s Parkland (2013), starring Zac Effron, Billy Bob Thornton and Paul Giamatti, is one such film. The assassination of President John F. Kennedy in Dallas on the afternoon of 22nd November, 1963, is one of the most notorious in American history. But what of the other people whose lives were changed forever by the events on that fateful day? This is their story. Parkland is stark in its frankness and courage to reduce what is still one of the most potent and shocking incidents in the political and cultural history of America, to its basic and bloody truth. Here the glamour and allure of Kennedy’s ‘Camelot’ is forgotten as the man at the centre of the dynasty is shown to be like any other when all dignity is stripped away in order to save his life. However the film also has the ability to surprise in other ways. Not only does it depict the extent to which Kennedy was idolised and given almost godlike status – one cannot imagine people fainting at a mere glimpse of today’s politicians in the way they did on that fateful Dallas afternoon (though admittedly the American public is much more passionate about politics than their British counterparts). But it’s also about two characters who were intrinsically involved in, and who’s lives were irrevocably affected by, the events which unfolded that day. 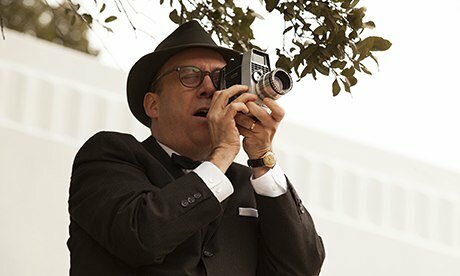 Abraham Zapruder (brought to life on screen by the marvellously versatile Giamatti), the businessman who happened to be in the right place at the right time and who’s home-movie footage of the killing has probably become the most famous amateur film ever shot. And Robert Oswald (James Badge Dale) Lee Harvey’s innocent brother, who’s life was forever blighted by his association with one of histories most famous murderers. These men were never the same after the assassination yet, unlike Kennedy and Lee Harvey Oswald, they both lived long lives forever overshadowed by that day in 1963. The film’s screenplay by Landesman based on Vincent Bugliosi’s book ‘Four Days in November’, captures perfectly the initial excitement of Kennedy’s visit, highlighted by its juxtaposition with the hysteria and confusion in the hours following the shooting. This – along with a cast who’s performances make this infamous historical event spring from the screen – creates a piece of cinema as shocking and memorable as the event it depicts.